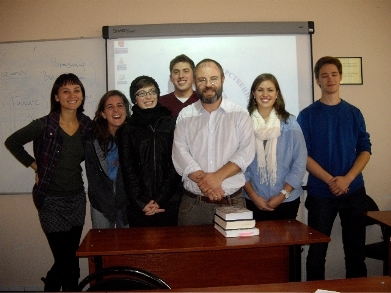 Prof. Dominic Rubin, lecturer in Philosophy and Biblical Hebrew at St. Philaret’s Orthodox Christian Institute and at the Moscow Higher School of Economics, is teaching the annual “Russia Today” course for the Dickinson-in-Moscow program this semester. Prof. Rubin recently published a book called Holy Russia, Sacred Israel: Jewish-Christian Encounters in Russian Religious Thought (Academic Studies Press, 2010). 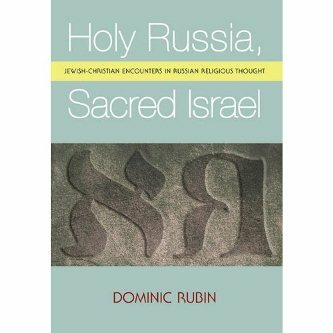 His recent book examines how Russian religious thinkers, both Jewish and Christian, conceived of Judaism philosophically, theologically, and personally at a time when the Messianic element in Russian consciousness was being stimulated by events ranging from the pogroms of the 1880s, through two Revolutions and World Wars, to exile in Western Europe.